St. Patrick Parish and School have been blessed by the generosity and hard work of our Knights of Columbus to have a new flag pole and walkway dedicated to all St. Pat’s Veterans. 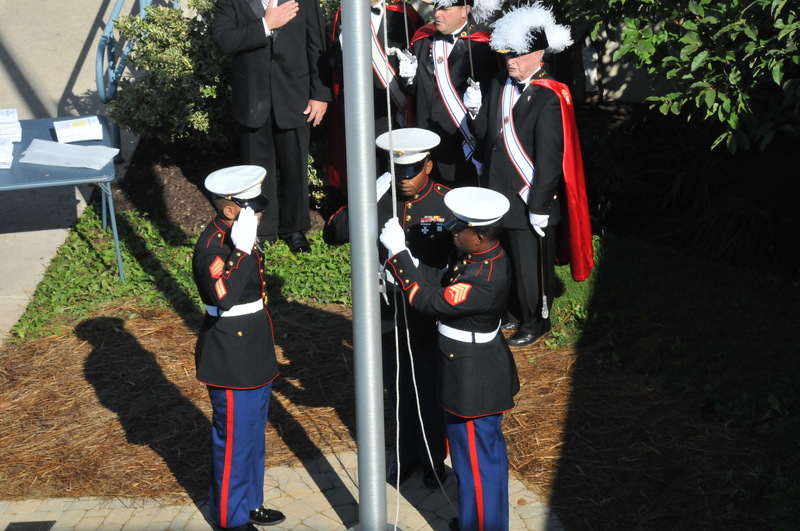 We dedicated the flagpole on 9/11/11 as we recalled the tragic events of 2001. Our Parish community prayed and asked God’s blessing for all those who died, all those who still mourn their deaths, and for all who continue to fight to protect our Nation. 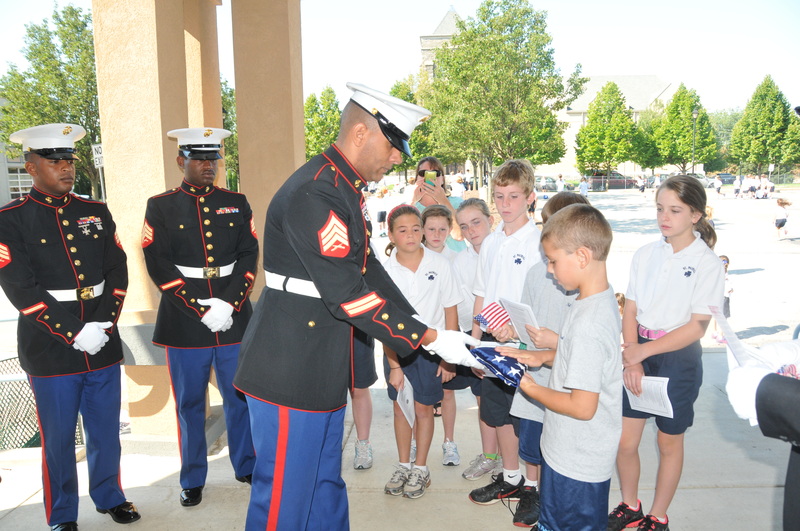 Members of the Marine Corp Honor Guard raised the flag and then instructed the students on the proper way to fold and treat the flag. 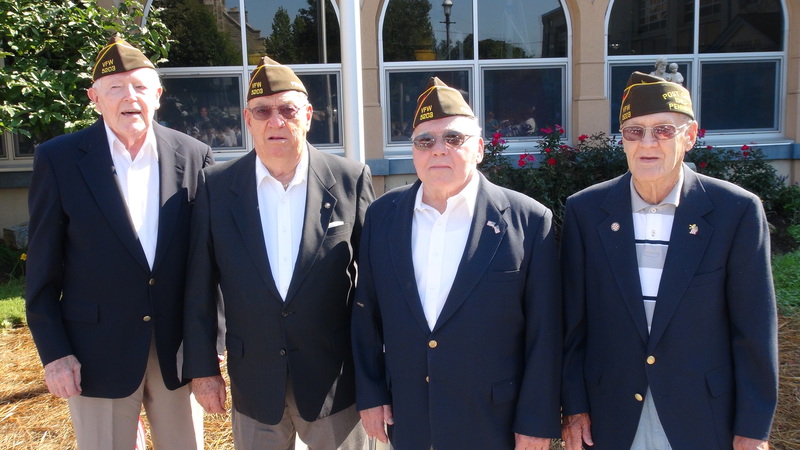 We also were honored to have four World War II Vets be part of our ceremony. God Bless America and God Bless St. Pat’s! Our new playground is on site – now we just have to install it! The Borough of Malvern has granted us permission to put in the playground for our younger students as well as install new permanent basketball nets for all to use! We are just waiting to receive the permit and then the installments can begin! 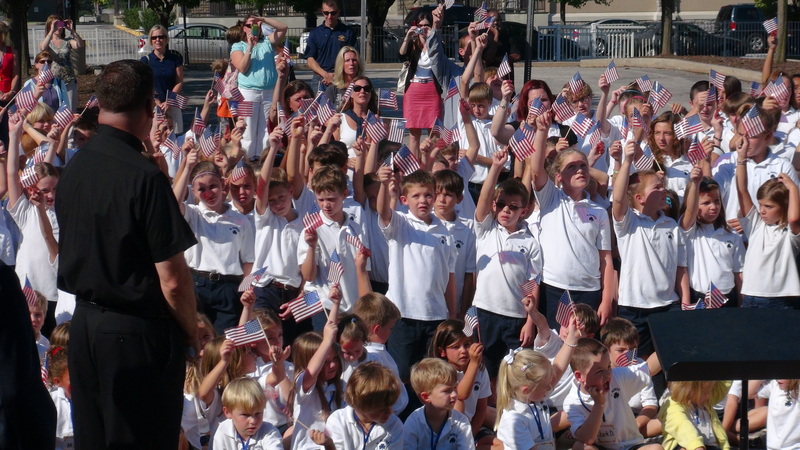 These are exciting times for St. Pat’s School! Go Warriors! There are many pieces to this playground! Let the 2011-2012 School Year Begin! 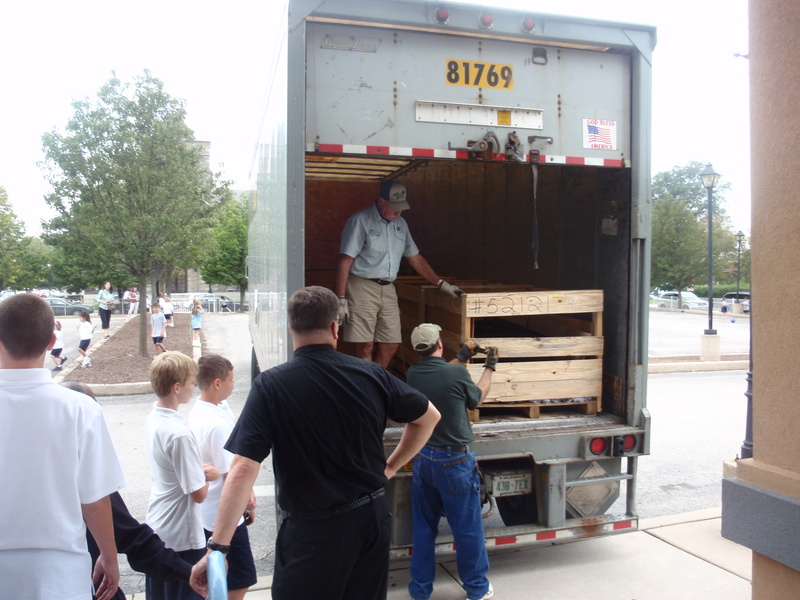 The 2011-2012 school year began with a bang last week! All St. Pat’s students came back with smiles and excitement! The teachers are looking forward to great learning and adventures. There have been many new additions and improvements to the inside of the school building and they were all met with approval and enthusiasm. We look forward to our Back to School Nights to share our excitement with the parents. Go Warriors!